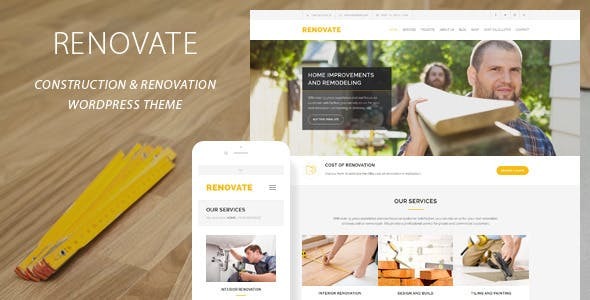 Renovate Construction is powerful Responsive & Multipurpose WordPress Theme design to promote your business or service with the style and professionalism that it deserves. 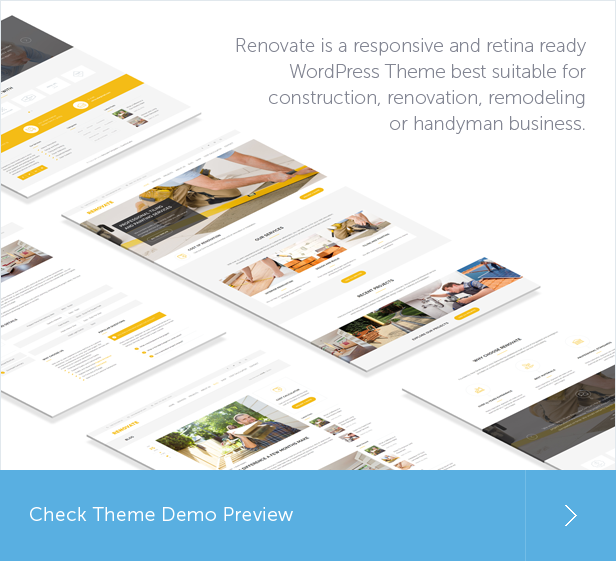 In fact, a website related to the profession of carpenter and plumber, tiler and marble setter, electrician and installer and a wide variety of businesses with this WordPress template. Very easy installation and This Theme offers drag & drop page builder with 50+ content elements, various demo pages, widgets, and posts. You can use this creative design theme in any niche like an architect, building company, construction, construction, construction WordPress, constructor, contractor, electrician, handyman, industry, painter, plumber, repair, tiler, worker.